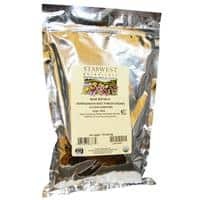 NutriBiotic Hypo-Aller C with calcium, magnesium, potassium, and zinc is an effervescent powder delivering vitamin C in combination with an array of highly bioavailable minerals in a readily soluble form. Since vitamin C and minerals are not produced by the body, they must be replenished daily. Minerals are essential in keeping the body healthy and aid in the assimilation of vitamin C. When Hypo-Aller C is added to a liquid, the vitamin C and minerals react to create natural carbonation (effervescence) to form mineral ascorbates. The mineral ascorbates formed are buffered and, therefore, less acidic. 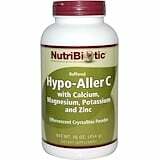 NutriBiotic Hypo-Aller C is well tolerated by most highly allergic individuals.